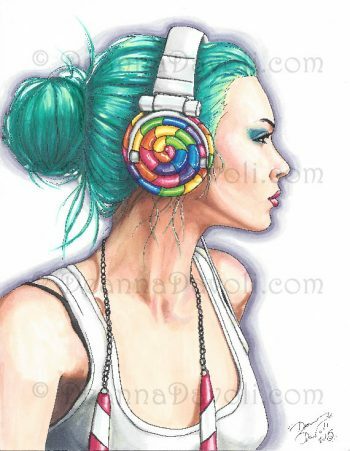 A elegant Key charm necklace holds a candy land inspired rocker chic. 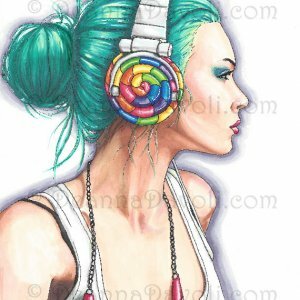 This Candy Rocker girl, is complete with turquoise hair and jamming out on her rainbow lollipop headphones. Perfect for the punk rocker girls in all of us. The Key charm is reversible. There is a lovely Celtic knot design on the back so you can wear it 2 different ways. * Flanked by 2 complimenting charms (photo shows a Music Note charm and a Star charm).